Join up with your favorite house, head through the halls of Hogwards, overcome obstacles and defeat monsters, and get yourself to the head of the class. 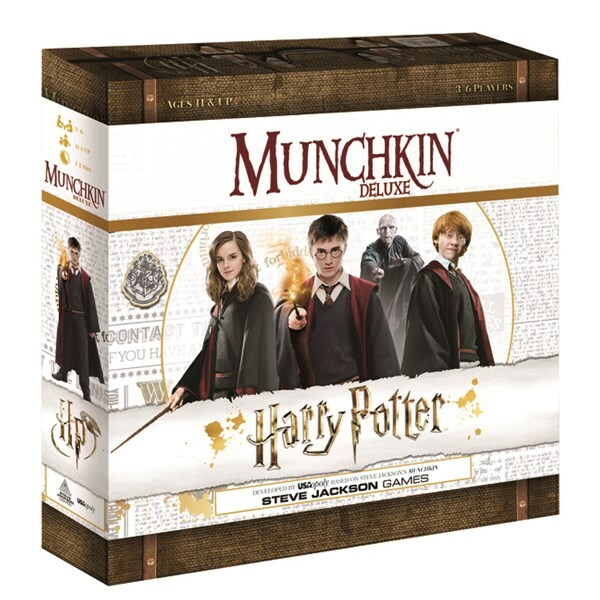 That's what you'll be doing in the latest Munchkin release from Steve Jackson Games, this time skinned (figuratively, not literally) in Harry Potter. You can pick up your copies now. I used to read a ton more webcomics than I do today. Most up and died pretty quickly, left to dissolve as their creators run out of stories and they fade away. Girl Genius isn't like that. It's got a rich story going back quite a long time and it's still loved by millions. It's now getting its own Munchkin Steampunk set. Take on the role of your favorite characters and stomp out the baddies. The game is up on Kickstarter. 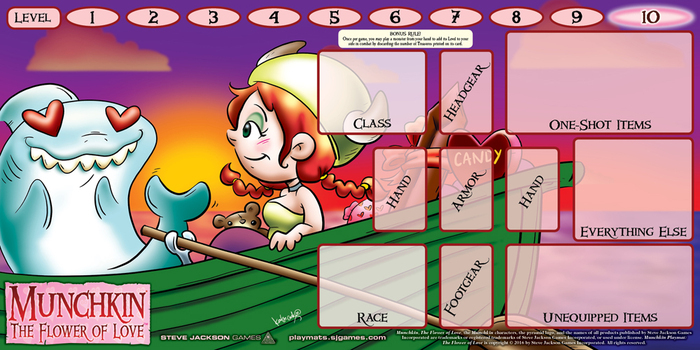 A new version of Munchkin will soon be unleashed on the populace. This time, the tropes and antics will come from Paizo's Starfinder RPG. The game was originally funded via Kickstarter, and so the box will include various extras unlocked therein. Pre-orders are being taken now. There feels like there's a billion Munchkin expansions out there, each one adding in new elements to the game to keep players on their toes. 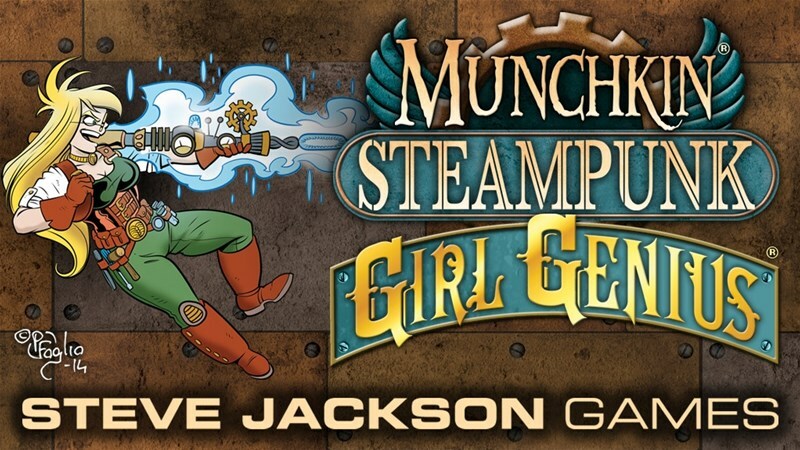 Currently, Steve Jackson Games is running a Kickstarter for a new one. 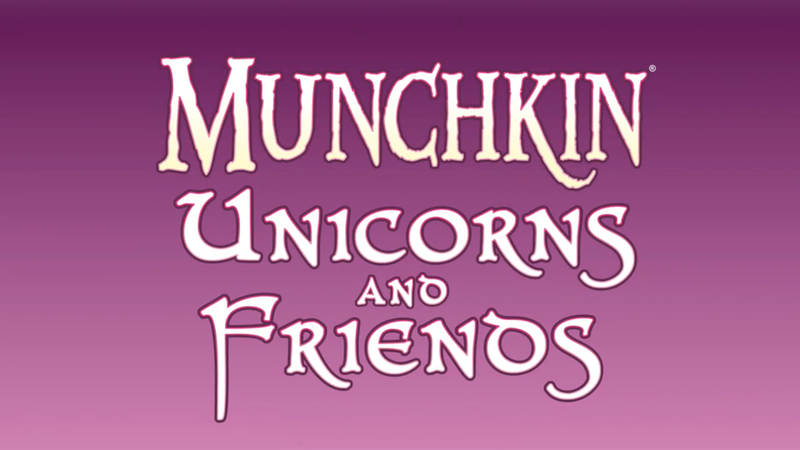 It's all about Unicorns and Friends, in fact, that's what they've decided to call it. 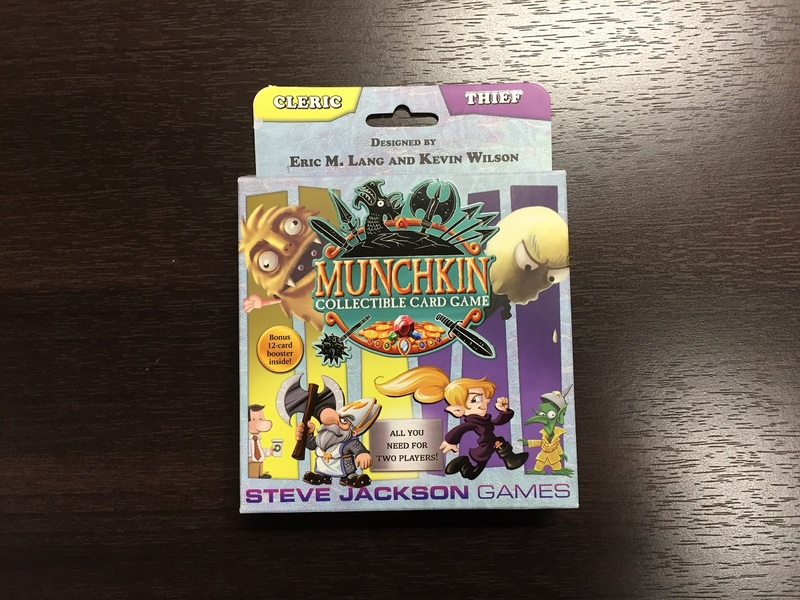 While you're still waiting for the release of the Munchkin CCG, Steve Jackson Games has other Munchkin-themed products available. And since we're just under a week away from Valentine's Day, love is in the air with these sets. Just about all of us have played some version of Munchkin in our time as gamers. 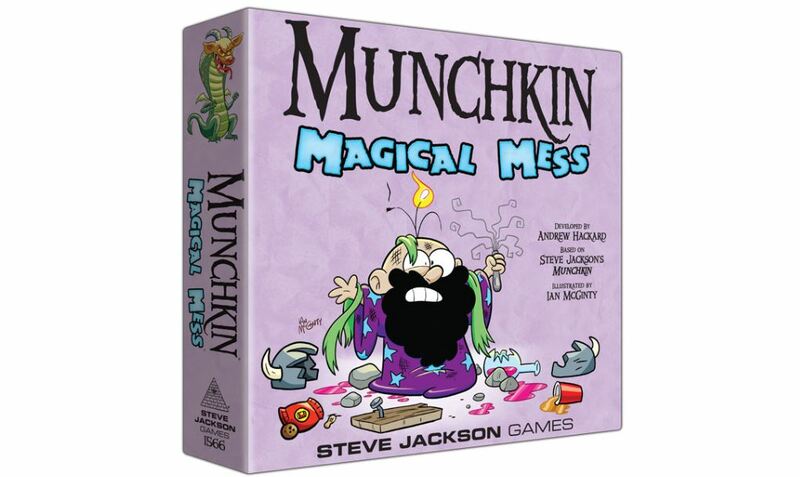 It's a fun, little card game from Steve Jackson that takes the usual tropes of dungeon delving (or going into space, or pirates, or faeries, or a hundred other things it's spun off into) and turns them on their ear, many sets lovingly drawn by famed artist John Kovalic. Well, soon, that fun, little card game is going to be a board game series from CMON. 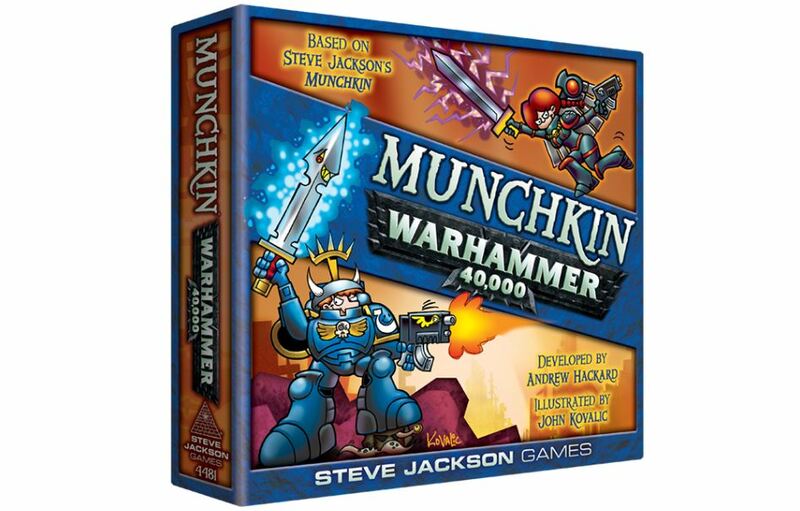 Steve Jackson and CMON are partnering up to create a new line of games based on the beloved card game. Starfinder is just finding itself all over Kickstarter recently. The campaign to create miniatures was a success with Ninja Division. 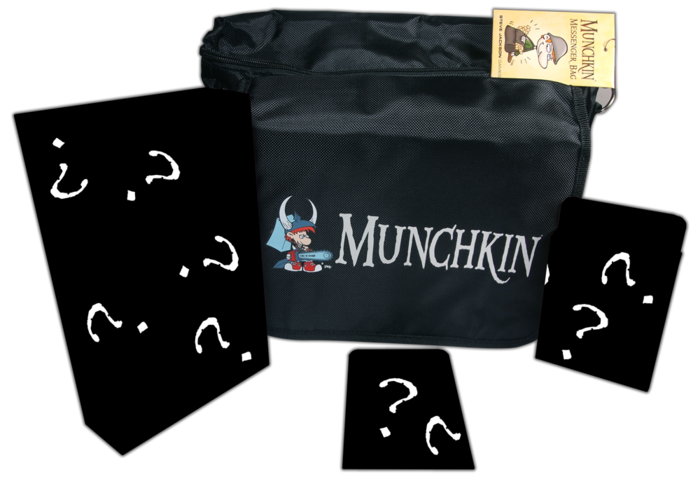 This time around, it's Paizo teaming up with Steve Jackson Games to bring you a new expansion for Munchkin. 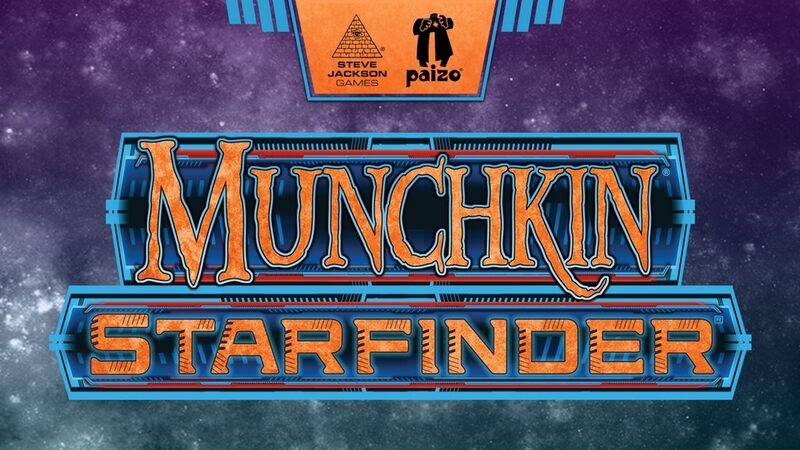 Head out into the void with Munchkin Starfinder. Steve Jackson Games' Munchkin has been around for quite some time. In all those years, it's gotten quite a lot of expansions, alternate sets, special add-ons, and all those great custom dice. 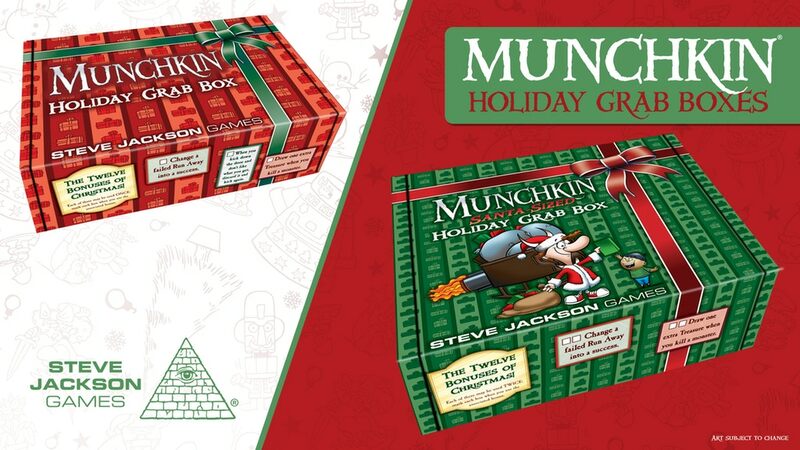 Well, for this holiday season, Steve Jackson has put together Holiday Grab Boxes just filled with all manner of things. They've got a Kickstarter campaign running where you can order them. 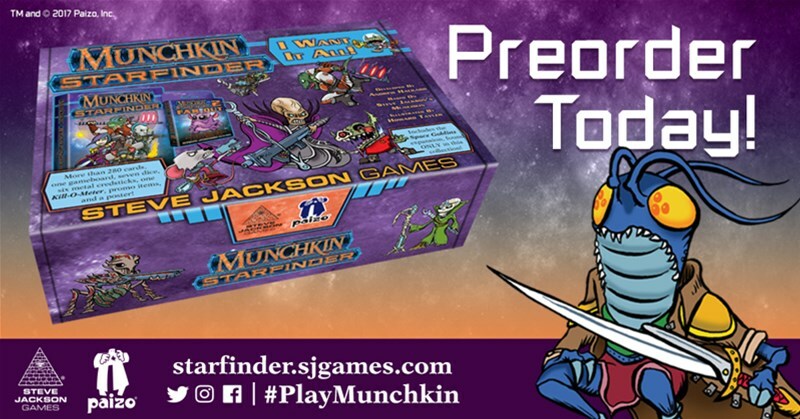 Steve Jackson Games has announced a new version of Munchkin will be making its way to Walgreens stores in the near future. This one's aimed at a slightly younger audience (though no version of Munchkin, that I know of, is too adult in nature). This one's called Munchkin Spell Skool. 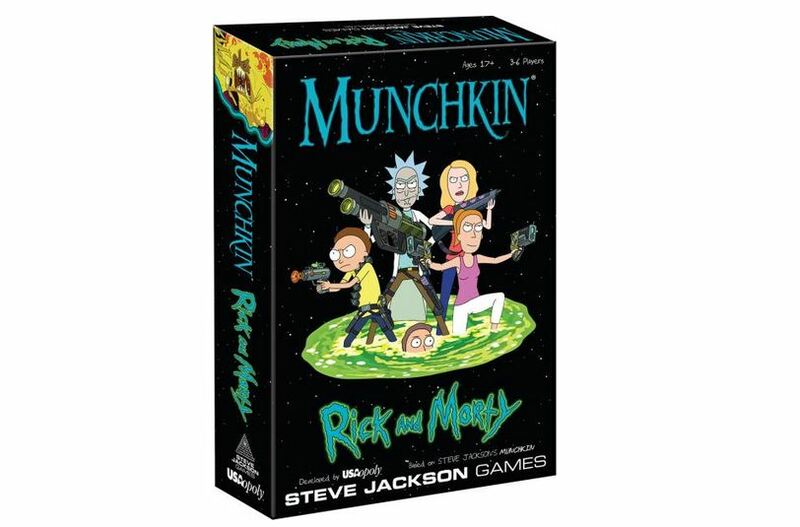 A new Rick and Morty game is coming out soon from USAopoly's partnership with Steve Jackson Games. 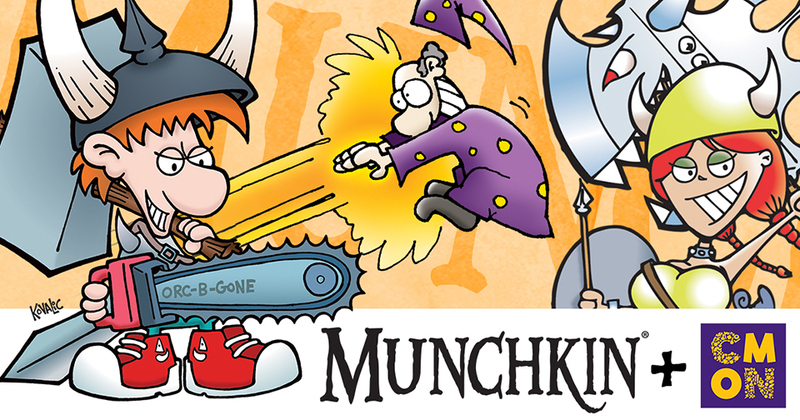 This time around, it's a game that, I'm sure, you've played at some point in time: Munchkin! Back when I read comics, I was an X-fan. I mostly read X-Factor, but since I also read Wolverine, so that means I read some X-Men as well. And, of course, I watched the cartoon as well. As such, I've always been more a Marvel fan than a DC fan. So, even though I don't read comics anymore, I still get excited when I see new Marvel products come out. 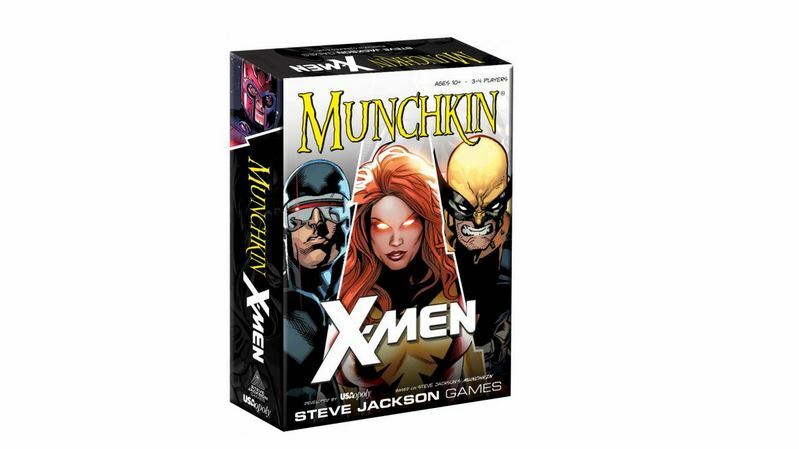 In this case, it's the X-Men edition of Munchkin. Munchkin is one of those games that I think it's safe to say that most of us have played at some point. I know I have, actually playing a whole bunch of the different versions. It's those different versions that make the game rather fun. Well, a new version is out, of sorts, that you can only get at Target. 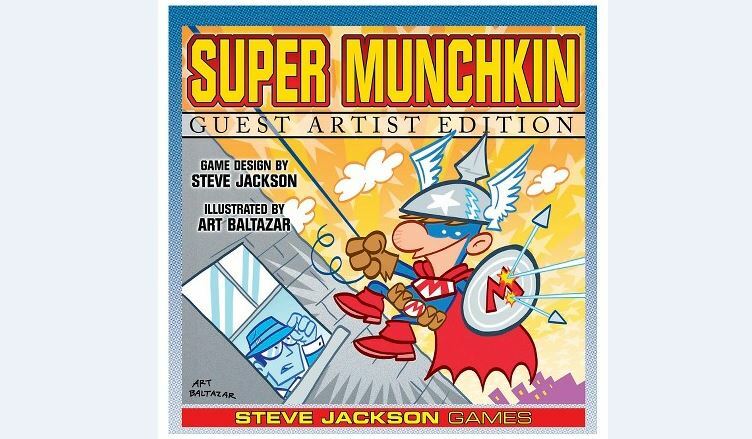 It's the Super Munchkin Guest Artist Edition. I have a messenger bag that I use to carry my laptop around, and also just various other useful things (like pens and notepad when I'm at a convention or such). It's incredibly plain. I wouldn't mind getting a bit more "nerdy" bag. And thankfully, Steve Jackson Games is here to help. They've got a Munchkin messenger bag. And until December 15th, they have a special deal going with it. Excelsior, true believers. 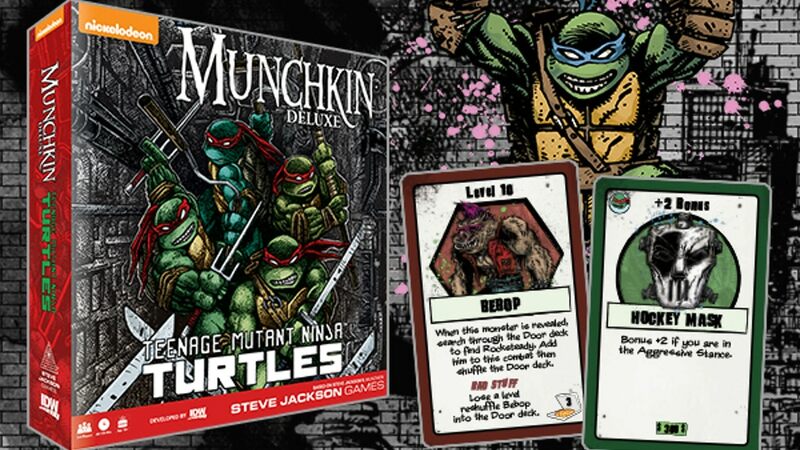 USAopoly and Steve Jackson Games are teaming up for another super-heroed Munchkin set. 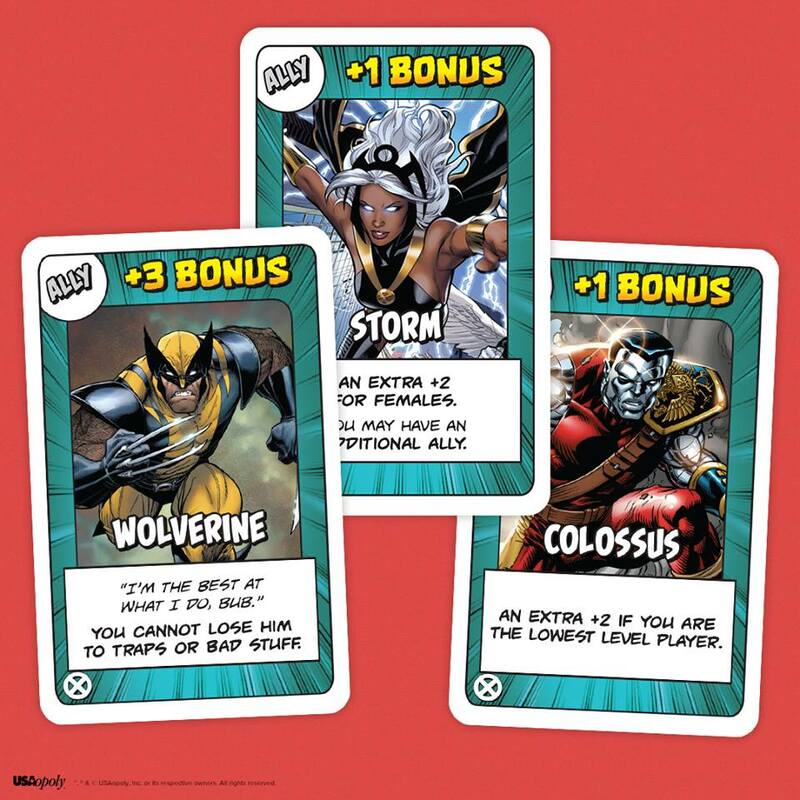 This time around, it involves those next-steps in human evolution, the mutants of the X-Men. Sharpen your claws, get your ruby visor on, and make sure that spandex is nice and snug. The Munchkin game lets players head into deep, dark dungeons, take out monsters, and grab their loot. Well, the world of Wonderland isn't necessarily the same as a deep, dark dungeon, but there are still plenty of weird things to behold and treasures to grab. So the two fit together rather well. 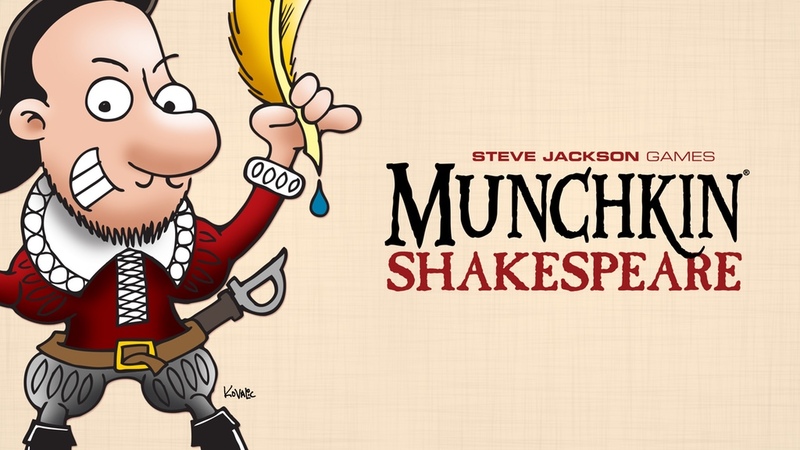 So much so that Steve Jackson Games is coming out with Munchkin Wonderland, a new board game. Who here remembers when Spam cans had an expiration date in the year 2000 and we thought it was such a crazy, cool thing? The future will be here before we know it. For example, January. Yeah, we're almost 3/4 of the way through this year. So that means 2017 is just around the corner. 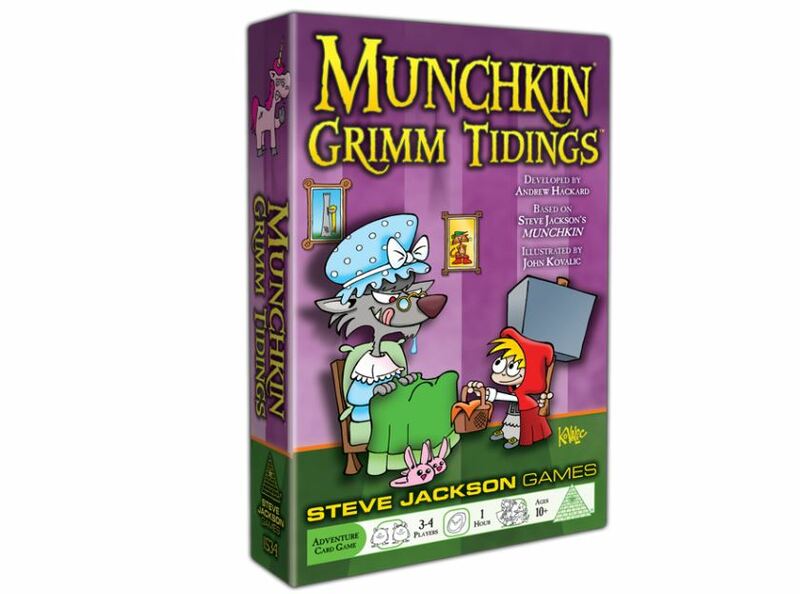 Well, now Steve Jackson Games has posted up what you can spend that holiday money on, with a look at what they'll be releasing the first month of next year. Super hero comics are filled with all sorts of mystical and magical heroes and items. Sure, guys like Iron Man, Captain America, and even the Incredible Hulk were all created via science, but you've got the Scarlet Witch and Dr. Strange whose powers all come from the ethereal. 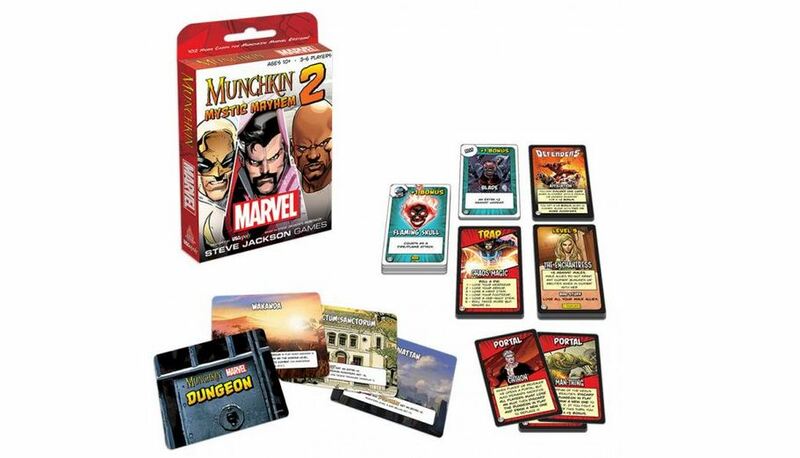 The Munchkin Marvel 2: Mystic Mayhem (Mmmmm!) set is filled with all things magical. But there's more than just that, and we get a look at it here.